hEX PoE is a five port gigabit ethernet router for locations where wireless connectivity is not required. 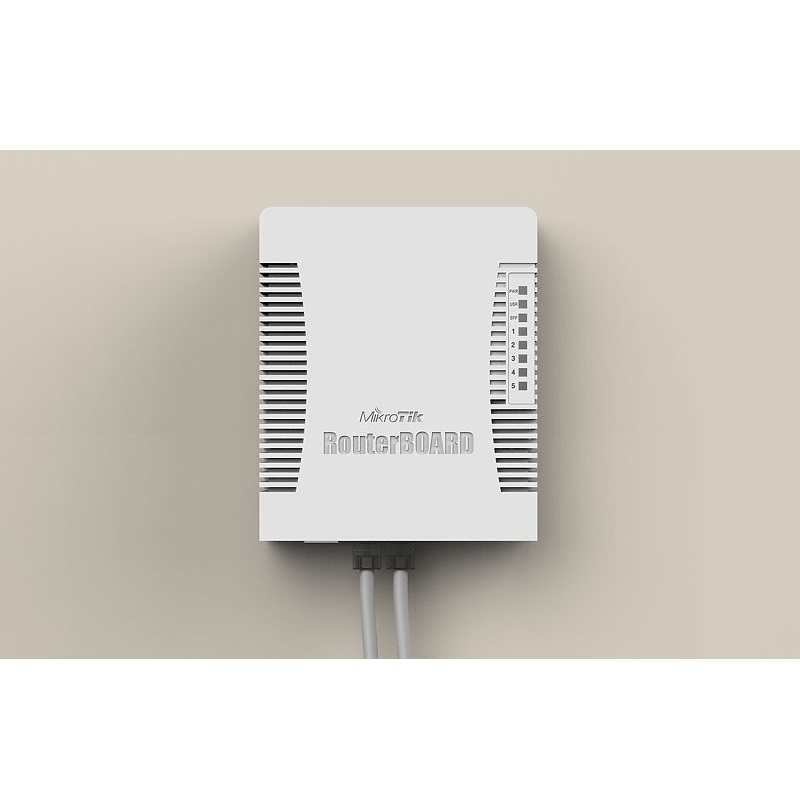 The device has a USB 2.0 port and a SFP port for adding optical fiber connectivity. 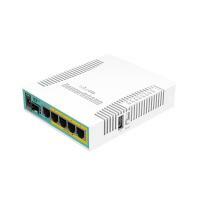 The ports 2-5 can power other PoE capable devices with the same voltage as applied to the unit. 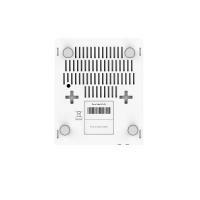 It is affordable, small and easy to use, but at the same time comes with a very powerful 800MHz CPU, capable of all the advanced configurations that RouterOS supports. 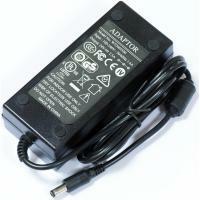 Less power adapters and cables to worry about! 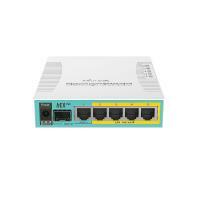 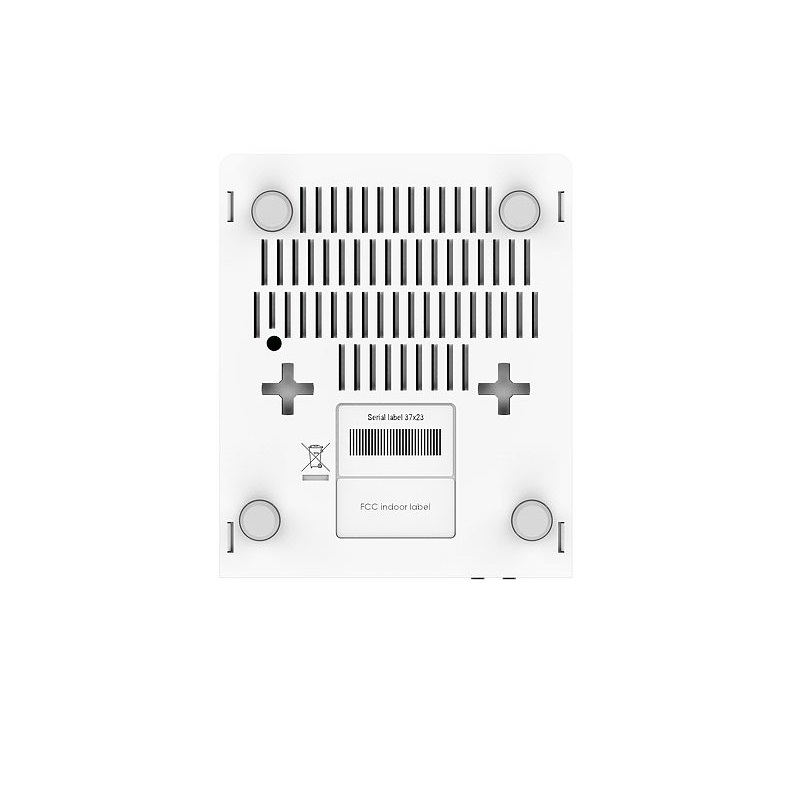 Max current is 1A per port, Ethernet ports are shielded.